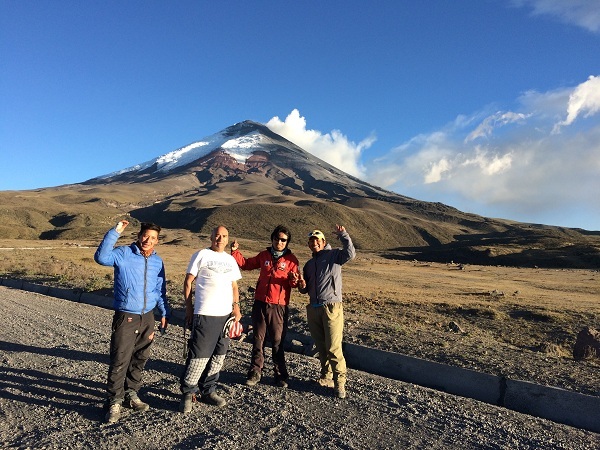 Hiking at the Cotopaxi National Park is an incredibly beautiful and rewarding experience and a popular destination for visitors looking to hike, climb and trek, or enjoy stunning panoramas from down below. Cotopaxi’s ecosystem is home to a wide variety of flora and fauna, including a unique combination of pine vegetation and wolves, pumas, bears, rabbits, condors, wild horses, and foxes. Volcano Cotopaxi is considered as one of the highest active volcanoes in the world. 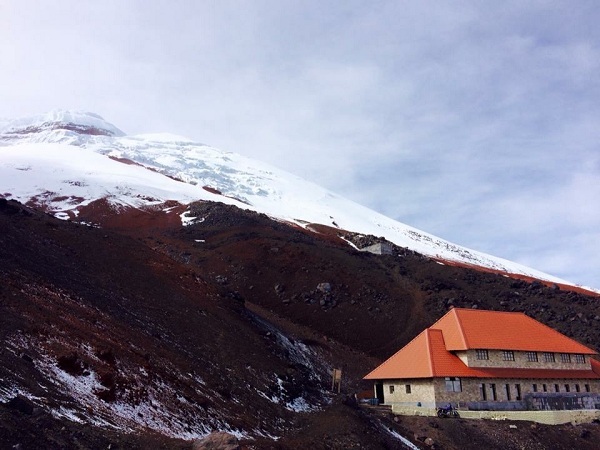 It has a beautiful cone-shape form and is one of the huge snowcapped mountains in the Ecuadorian highland. From Quito we head south on the Pan-American Highway until we reach the Cotopaxi National Park. 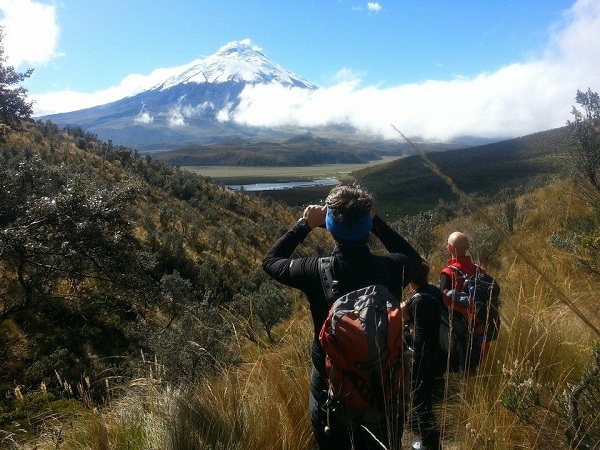 Here we turn off towards the east, passing lake Limpiopungo and continuing towards the valley of the Pita River, where we start this pleasant round walk, constantly dominated by the majestic Cotopaxi. We cross moorland and lava fields and pass close to Rumiñahui volcano. After an hour and a half, the entrance to the park is reached and then it’s up a dirt road for approximately one hour. Upon arrival to the park there is an introductory briefing about the habitat of the Andean paramo or moorlands and its flora and fauna in the small Interpretation Center. Continue on to Limpiopungo Lagoon to observe a variety of birds and occasionally wild horses. 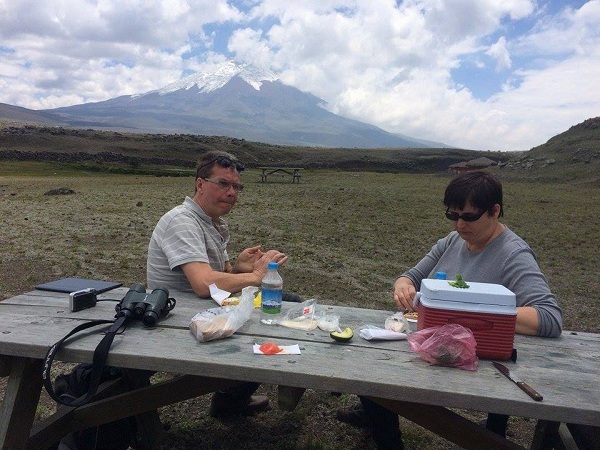 On clear days, the Cotopaxi Volcano provides a magnificent backdrop. A short walk around the lagoon allows the observation of the Andean flora. 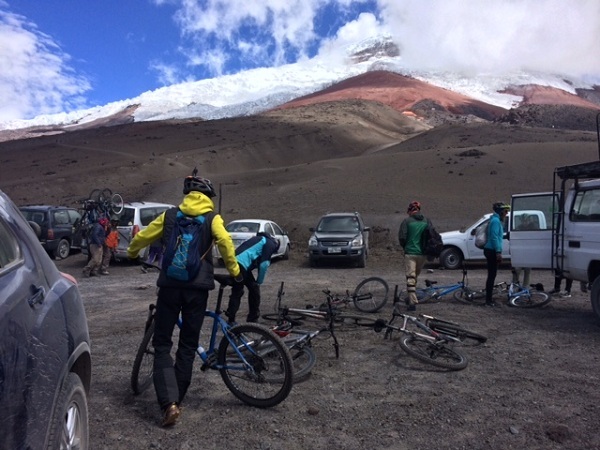 afterwards, we travel to the parking lot at 4500 m and start hiking to the Cotopaxi refuge. Rested, we continue to the glaciers at 5000m. Lunch is at a restaurant in the area before returning to Quito in the afternoon. Personal mountain gear (warm cloths, sun glasses, head lamp, etc.